be an early bird, get something special. AG Gallery’s 4th annual holiday gift art show with the theme of “Give the gift of art!” just started. 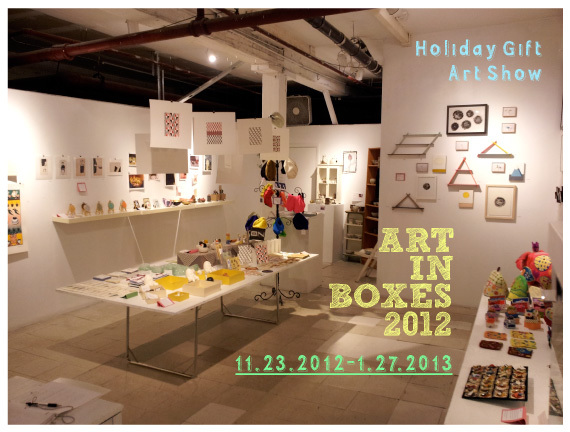 “ART IN BOXES” is a large group exhibition which shows/sells one of a kind artwork for an idea of the holiday gifts at affordable price. AG Gallery exhibits about a hundred of art pieces from many local and international artists. The show just started this weekend and it’s a bit early for Christmas though, we’ll add more artworks almost every other week from now. 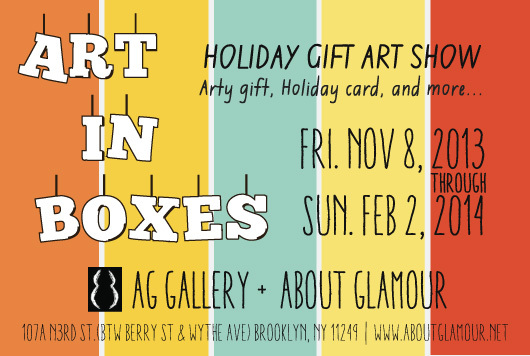 Please stop by AG Gallery for your holiday shopping. The curator selected small to large art pieces which would be great for the artsy gifts, such as paintings, sculptures, prints, potteries, artist books, postcards, accessory and many kind of handmade art pieces. This is the great opportunity for that if people are looking for extraordinary and one-of-a-kind holiday gifts this year or would like to give something special to someone special. As we have retail space along with the gallery, we do the gift wrapping easily and even take domestic/international shipping! 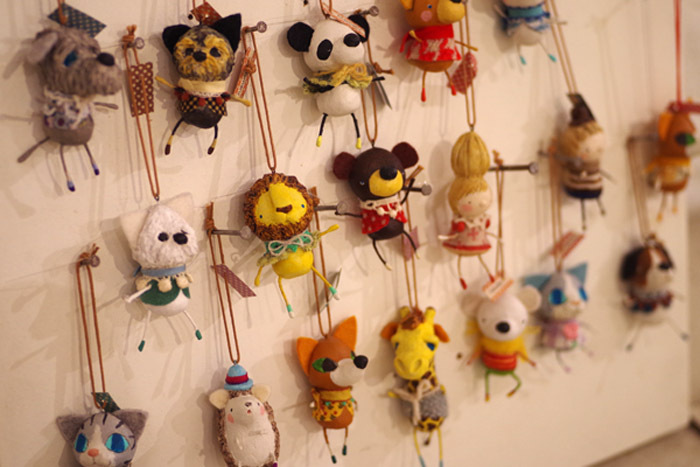 Also, people could take purchased artwork with you, which is impossible at regular exhibition.